Art. 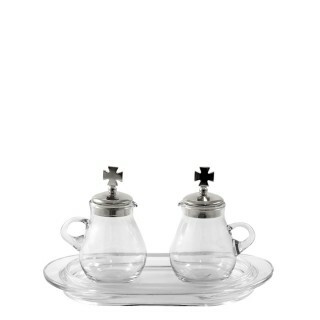 S974Cruet set made of glassGlass cruets mod. "Bologna" ml. 110..
Art. C680 Chaliceh. 13,5 cm.Art. C679 Ciboriumh. 14 cm.Silvertone Small hammered Chalice a..
Art. S975Cruet set made of glassHand painted glass cruets mod. "Bologna" ml. 110..
Art. S974NCruet set made of glassGlass cruets mod. "Bologna" ml. 110..
Art. 731 Chalice h. 13 cm. Art. 732 Ciborium h. 13 cm.Small hammered Chal..
Art. 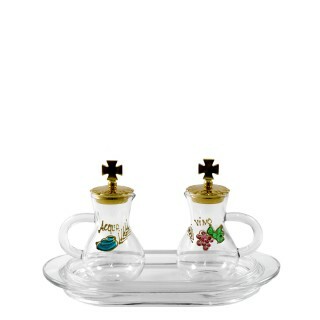 S975NCruet set made of glassHand painted glass cruets mod. "Bologna" ml. 110..
Art. 691 Chaliceh. 13 cm.Art. 692 Ciboriumh. 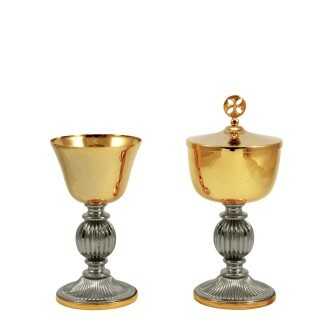 13 cm.Small hammered Chalice and Ciborium mad..
Art. 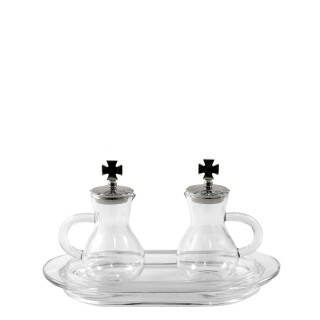 S990Cruet set made of glassGlass cruets mod. "Parma" ml. 75..
Art. C685 Chaliceh. 10,5 cm.Art. C686 Ciboriumh. 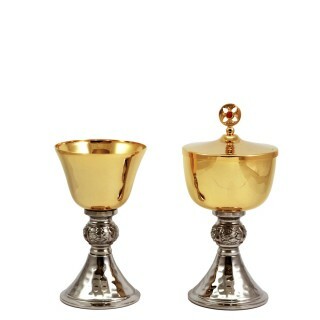 10,5 cm.Small hammered Chalice and Cibori..
Art. S990NCruet set made of glassGlass cruets mod. "Parma" ml. 75..
Art. 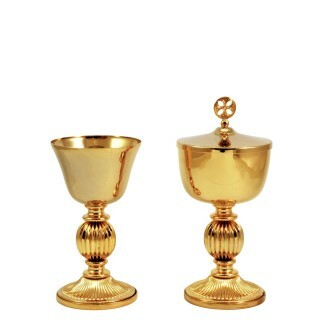 C683 Chaliceh. 10,5 cm.Art. C684 Ciboriumh. 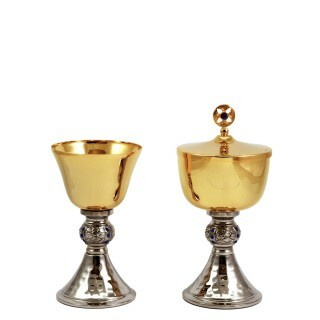 10,5 cm.Small hammered Chalice and Cibori..
Art. 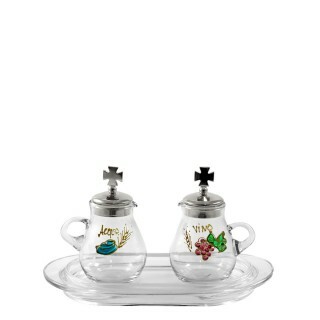 S992Cruet set made of glassHand made glass cruets mod. "Parma" ml. 75..
Art. 775N Chalice h. 15 cm. Art. 777N Ciborium h. 19 cm.Small Chalice and Cibor..
Art. 775 Chalice h. 15 cm. Art. 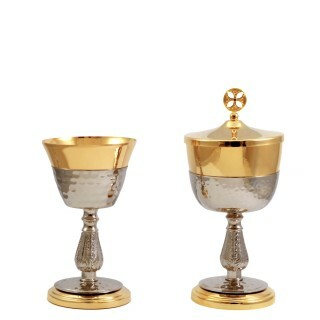 777A Ciborium h. 15 cm.Small Chalice and ..
Art. 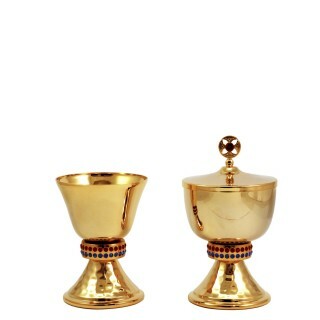 S992NCruet set made of glassHand made glass cruets mod. "Parma" ml. 75..